After working through the layout adjustments noted in the last blog post, additional issues have turned up. There are two locations on the Wheeling Freight Terminal where curved track crosses layout sections at an angle, as can be seen in the lead image. 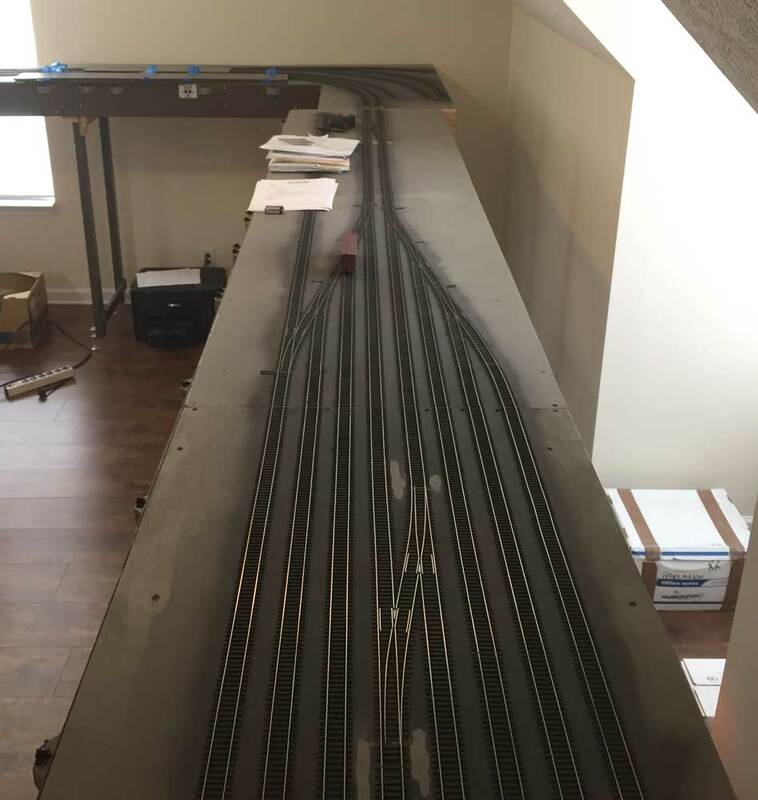 One or two tracks have been problematic but now the problems have increased after setting up the layout in a new home. Click on any image here to review larger size. 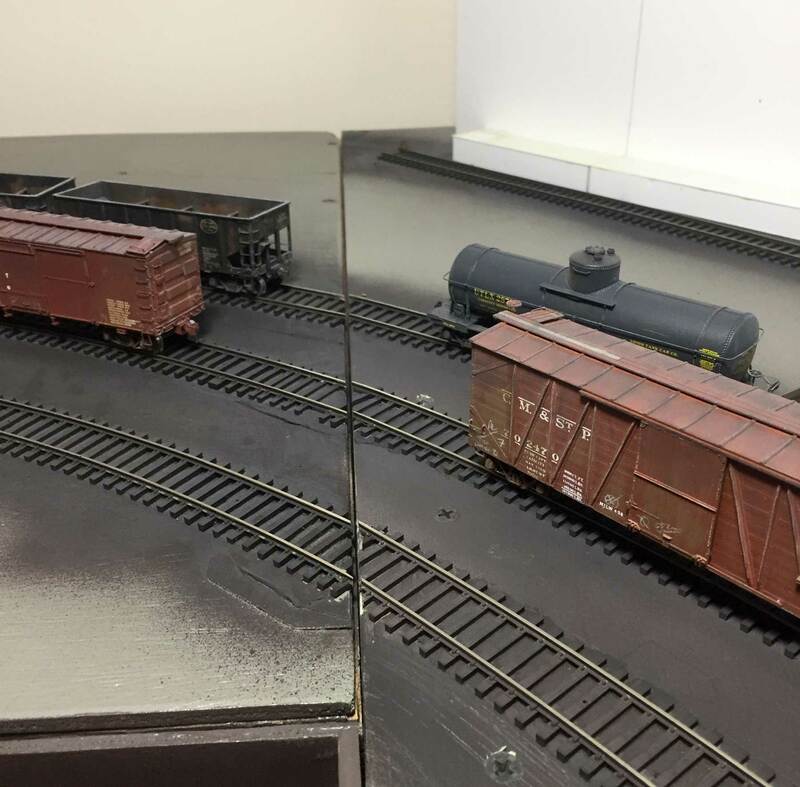 The Wheeling Freight Terminal layout sections have assembled easily in the new space but there are a few adjustments to make in order to operate again. One adjustment was noted in the last blog post where four inches of a section needed to be removed in order for all to fit into the space. A survey of the layout has revealed the need for additional adjustments. Thankfully, no other sections need to be shortened. 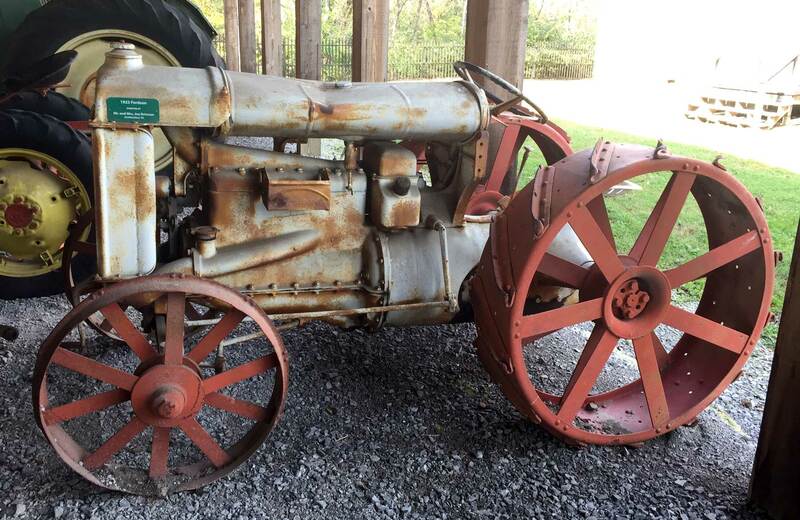 I almost titled this post as Moving Along – part 3, but we are beyond the moving phase. The Wheeling Freight Terminal layout sections got onto their legs this week! Well, not all of them are on their legs as a problem was discovered. 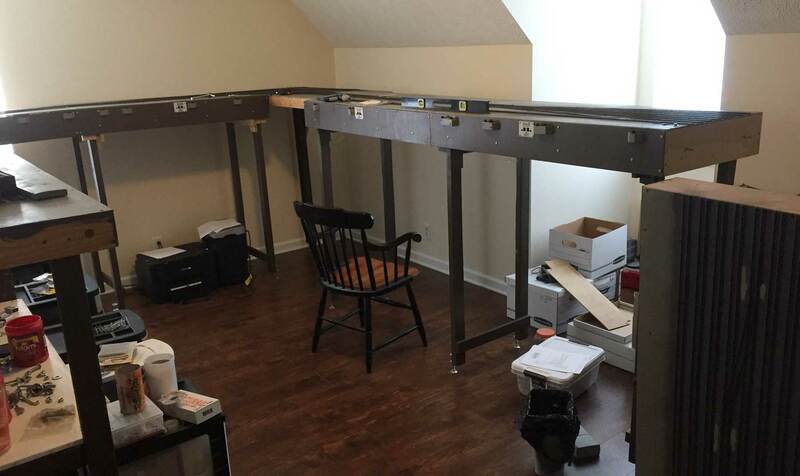 The layout is slightly longer than the space. I will admit, I did not measure the room before we committed to the house rental but I also did not know the actual long dimension of the layout. Yup, I did a job on this one. Click on any image here to view a larger size. Delano, Jack, photographer. Chicago, Illinois. 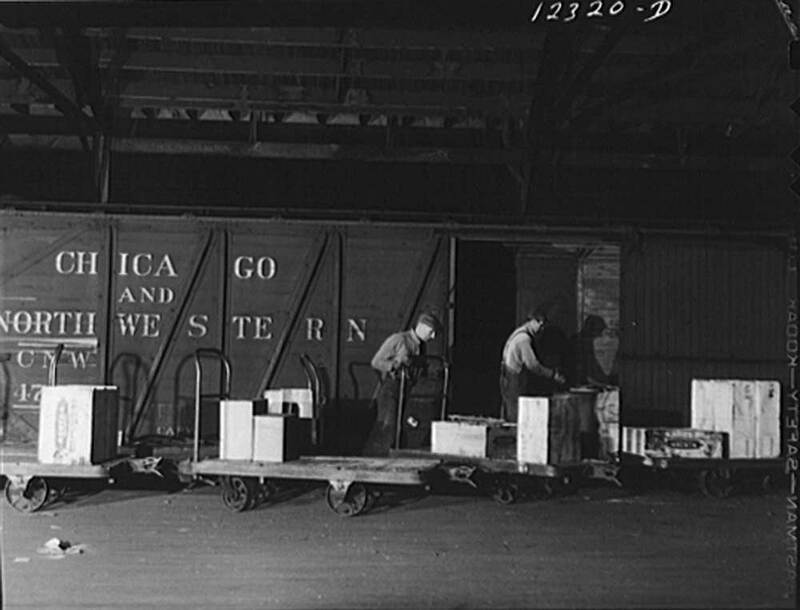 Loading a freight car in the freight house of a Chicago and Northwestern Railroad yard. Dec. Photograph. Retrieved from the Library of Congress, <https://www.loc.gov/item/owi2001014837/PP/>. It is time to pack up the house and move to a new place. My lovely wife has accepted a new employment opportunity so we will depart El Paso late this month!